OPI Soak off Gel Polish Always Bare For You Collection 0.5oz "Choose Any 1"
We would love to assist you and fix any problems you may have with the item. Size 15ml/0.5fl.oz. 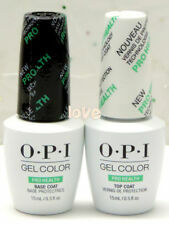 OPI GELCOLOR Soak Off Gel Nail Lacquer UV/LED Polish Full Sz *PICK COLOR* A NEW! OPI GelColor Soak Off Gel Polish LED/UV .5oz Pick Your Color 2017 New Bottle! Trending at $13.89eBay determines this price through a machine learned model of the product's sale prices within the last 90 days. OPI Breakfast At Tiffany's The Stylish Duo #1 HP H33. ~OPI Breakfast At Tiffany's The Stylish Duo #1 HP H33. OPI NAIL GELCOLOR POLISH. FREE Nail Art Tool. FULL SIZE BOTTLE! Gel Color 15ml / 0.5floz - I Believe in Manicures. Spring 2019 Collection. OPI GEL COLOR. Bare My Soul #GCSH4. Complete Full Gel Set of 6 colors. Baby, Take A Vow #GCSH1. 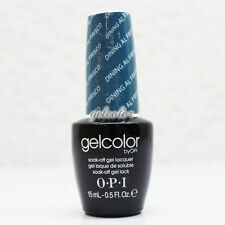 OPI GELCOLORS UV/LED SOARK-OFF GEL POLISH 0.5 FL OZ/15ML PICK ANY COLOR. 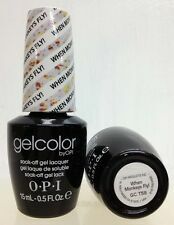 OPI O.P.I GelColor Gel Color Soak Off UV LED Gel Polish 15ml 0.5 oz ВЕST PRICE! Best colors! Limitid quantity! Fast shipping! Original! Spring 2019 Collection. OPI GEL COLOR MATCHING REGULAR NAIL POLISH. Bare My Soul #GCSH4. Complete Full Gel Set of 6 colors. Ring Bare-er #GCSH6. We would love to assist you and fix any problems you may have with the item. 100% AUTHENTIC - MADE IN USA.